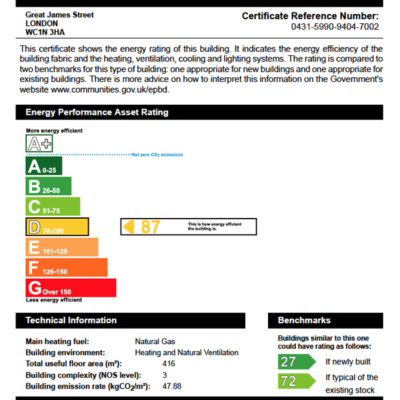 As of October 2008 sellers of a business are required by law to provide a Commercial Energy Performance Certificate (EPC) for all buildings that are sold or rented. 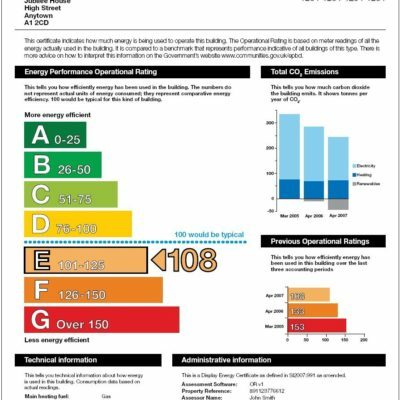 A Commercial EPC is valid for a period of 10 years. The enforcement of EPC’s is undertaken by Trading Standards and the penalty for failure to produce an EPC is subject to a maximum penalty of £5000. From January 9th 2013, all public buildings with a total useful floor area greater than 500m² are required to have a Display Energy Certificate (DEC) and advisory report. The DEC is valid for 12 months. The accompanying advisory report is valid for seven years. Falcon Commercial, 2nd Floor Offices, 114-116 High Street, Honiton, EX14 1JP.